Kai Lu is a Professor and the deputy dean of the College of Computer Science, National University of Defense Technology, China. He is the associated chief designer of the TianHe-1 (MilkyWay-1) and the TianHe-2 (MilkyWay-2) supercomputer systems. His research interests include computer architecture and system software. 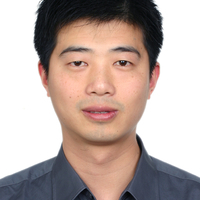 Kai Lu received the BS and PhD degrees in computer science and technology from the National University of Defense Technology.